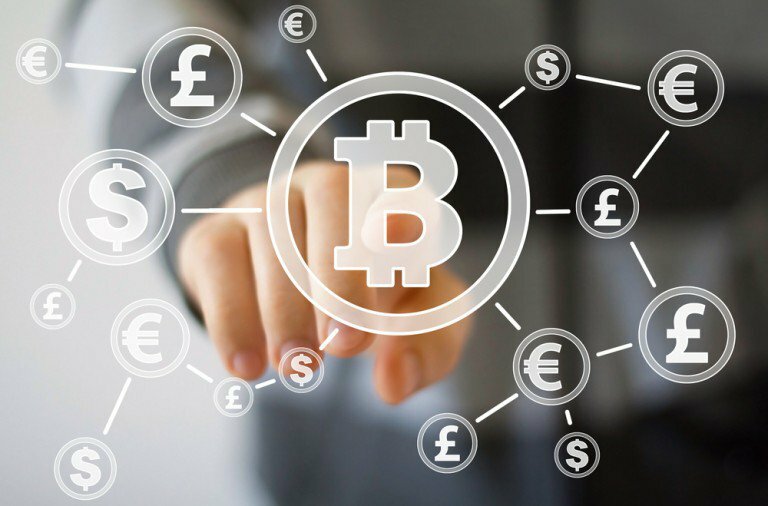 The price of bitcoin surged close to 20% over the weekend spanning 11th June and 12th June, and this robust appreciation grabbed the attention of many experts who were quick to give their two cents on the rally. Market observers provided a wide range of explanations for this climb, including the ongoing 'Brexit' uncertain, the rising visibility of blockchain technology and the impending halving of rewards paid to key participants in the bitcoin network. More than one expert emphasized that the looming possibility that the UK could split off from the rest of the 28-nation European Union was a major contributor to the bitcoin rally. While a number of surveys have shown the 'Bremain' camp garnering greater support than those advocating a Brexit, a recently conducted Opinium Poll found that 52% of respondents wanted the UK to leave the EU, while 33% would prefer that it stay. "The Brexit vote is polling at an all-time high," said Arthur Hayes, co-founder and CEO of bitcoin leverage trading platform BitMEX. Tim Enneking, chairman of cryptocurrency investment fund EAM, also pointed to the looming potential Brexit as a potential cause of bitcoin’s recent rally. He noted the price gains the digital currency enjoyed before in times of geopolitical turmoil, including the situations Greece found itself in last year and China two and a half years ago. Several market experts cited the impending halving of network rewards paid to miners, or individuals or entities that process transactions on the network, as one that pushed prices higher. When this event takes place sometime in July, miners will begin receiving 12.5 BTC every time they mine a block, compared to the current rate of 25 BTC. Rik Willard, founder and managing director of Agentic Group LLC, stated that the halving is "exciting a lot of people," and he compared the event to having the effect of a "stock split". Du Jun, co-founder of Huobi, stated that cutting the mining reward by half would "break the balance of former supply-and-demand relationship". He stated that as a result, the event has "been regarded as a good news for all bitcoin traders and investors" and is impacting the market even before it takes place. Elsewhere there was optimism that rising interest in "the blockchain", or the many more generic distributed ledger technologies, is generating positivity around bitcoin's public blockchain and its potential use cases. Willard commented on this perception, emphasizing that he believes it is being used more and more for commercial purposes. Specifically, he mentioned companies that are working to use the technology to manage digital rights. Because the blockchain is quickly growing in prominence and market participants are leveraging it for more commercial uses, Willard described it as a "potential commercial juggernaut". Another factor that could have helped place upward pressure on bitcoin prices was an influx of fiat money, an observation that Ark Invest's Chris Burniske emphasized. "What this implies to me is we have lots of new fiat money flowing into bitcoin, and bitcoin's price action is not being driven by people swapping out of ether [Ethereum's native digital asset], which we've often seen before." The assertion that sentiment was bullish over the weekend was supported by market data from full-service bitcoin trading platform Whaleclub, which showed that long exposure as measured by position size reached 75% and 94% on 11th June and 12th June, respectively. Supply had a hard time keeping up with this robust demand, Petar Zivkovski, director of operations for Whaleclub, told CoinDesk. Many of the weekend’s price jumps "were not even related to very heavy buying, but simply to low liquidity in the order books," he stated. Overall, Zivkovski painted a more bearish picture of the market, one where bitcoin's low liquidity was the primary driver of price gains. "There were too few sell orders to fulfill buy orders around the market price, so price would jump as buyers (and shorts being squeezed) panicked and bought into low liquidity, powering price even further up,” said Zivkovski. "In this case, the low sell interest created a liquidity vacuum in which regular buyers (not large) are able to move price upwards with low volume." Though market observers provided a range of explanations for bitcoin’s weekend rally, some experts took the point of view that China was the major driver behind the price increase. Hayes predicted the Federal Reserve won’t raise rates again "anytime soon," and that as long as these rates remain unchanged, "the PBOC will slow or reverse part of the devaluation of the CNY." Joe Lee, founder of derivatives trading platform Magnr, also weighed in on China and its potential impact on bitcoin, pointing out several factors he believes will fuel demand for the digital currency going forward. “Chinese demand for bitcoins remains strong and will increase over time as economic uncertainty continues,” he told CoinDesk. In contrast, Lee called bitcoin a "natural hedge" for investors in the face of such concerns.